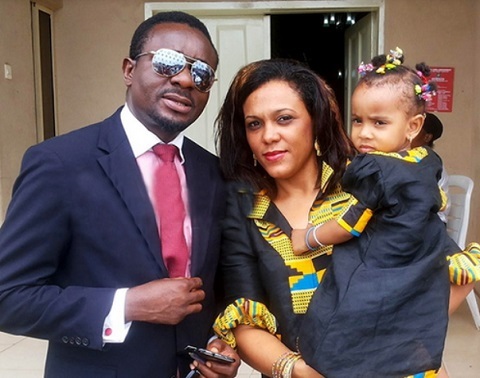 A Lagos Island Customary Court on Thursday dissolved the marriage between Nollywood actor, Emeka Ike and his wife, Emma over alleged incessant battery. Emma, a teacher, had on July 13, 2015 approached the court to dissolve the 14-year-old marriage between her and the Nollywood star. The court president, Mr. Awos Awosola, said from the totality of the evidence before the court, it was obvious that the marriage was beyond redemption. “Emeka, who has been begging to be reconciled with his wife, has not made any effort towards the reconciliation. “The marriage is hereby dissolved with effect from March 2, in accordance with the Lagos State Customary Court Law, 2011; Order 3 Rule 7 as amended. “Any party that is not satisfied with the judgment has the right to appeal to any court of higher jurisdiction within 30 days from today,’’ the court president ruled. Awosola awarded the custody of their four children to the husband and ordered that the wife must have unhindered access to them. He said that N300 paid as Emma’s bride price had been returned to Emeka and urged both parties to maintain peace. The mother of four had earlier told the court that her husband had been physically and verbally abusing her all through the duration of their marriage. “My husband treated me like nobody and throughout this divorce tussle; he had denied me access to my children,” the woman said. “He does not allow them to pick my call as he keeps changing their numbers. The last time I heard my first son’s voice was when he was sick and about to undergo surgery.